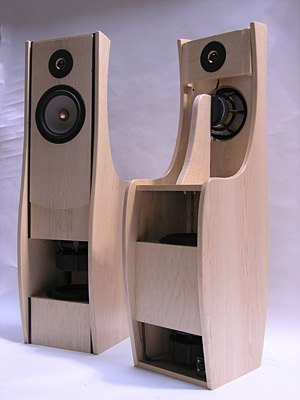 ORION-4 is the Wood Artistry refined, commercial version of ORION-3.5. 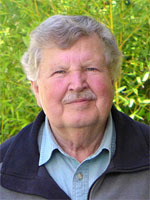 Don Naple's target market is the traditional audiophile who knows what real music sounds like and who has not yet found the loudspeaker that delivers a fully satisfying illusion of it in his or her home. These are connoisseurs who love music and who recognize that the ORION is unique in its appearance, exceptional in its performance, and of outstanding quality and value. Add-on options are offered for custom 8-conductor speaker cables with Speakon connectors and for sets of interconnect cables. 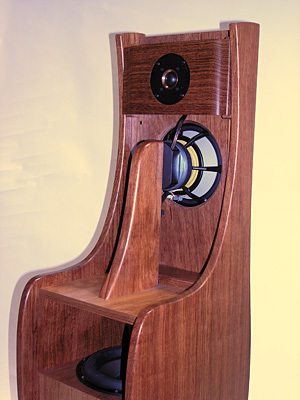 A complete ORION-4 sound system requires six or eight channels of power amplification for left and right woofers, midrange and tweeter drivers, plus interconnect cables to connect the ASP to the power amplifiers and the preamplifier output. 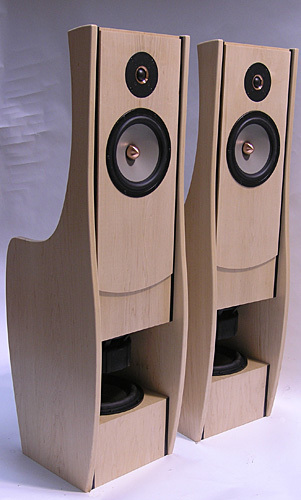 "Thank you for your interest in the Orion-4 speakers. I sell the complete and tested Orion ASP with both balanced and RCA inputs (all RCA outputs) and universal power supply plus two LED indicators to indicate the roll off switch position for $1295. In addition to this, we are releasing the Orion-4 kits and will start shipping next week. If you are interested in them, the Apple Ply (Maple faced 13 layer plywood) kit is $3500 and the solid Hard Maple kit is $4200. 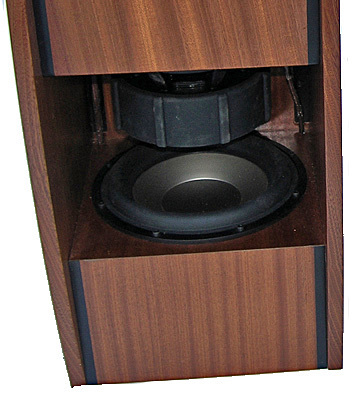 Note the woofer sections on both use maple faced plywood as the layer strength is needed at the edges of the woofer holes. The Orion-4 Maple file is the solid Maple finished with black trim that may be added by the finisher. The Apple Ply file shows an unfinished version of the Orion-4 cabinet. The kits include wire harness with Speakon connectors, midrange mounting brackets, all assembly hardware, glue and some tools to aid in assembly. Some parts have already been glued to provide high quality seam surfaces that wrap around the corners. The drivers, ASP, and speaker cables are purchased separately. Please contact me if you have any questions about the above information." 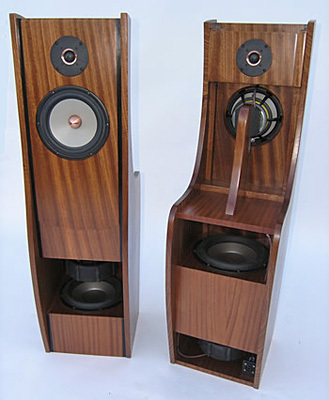 ORION-4 Loudspeaker System . . . The loudspeakers disappear, the room is forgotten, and you listen through a wide open window to the performance in front of you. Stereo at its best, an illusion engine that satisfies your aural sensibilities, as it reveals the artistry of the performers and the recording. 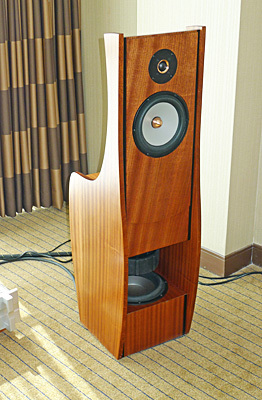 ORION-4 is custom built by Wood Artistry. 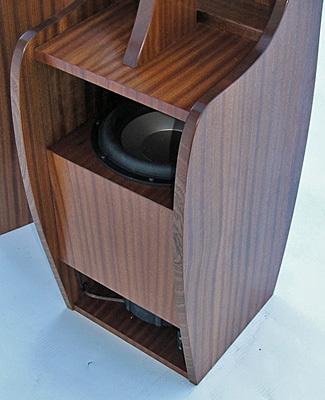 The speaker’s open-baffle and dynamic drivers follow the concept of the praised AA Beethoven and Vivaldi loudspeakers of the late nineties. With newer components and design refinements ORION-4 surpasses their performance. Uniform sound dispersion over a wide frequency range is an essential characteristic of ORION-4. Thereby reflections from the room’s surfaces have similar spectral content as the direct sound. Placement of the loudspeakers out in the room adds delay to these reflections, allowing the ear-brain hearing apparatus to differentiate between the direct sounds from the loudspeakers and the room’s response. 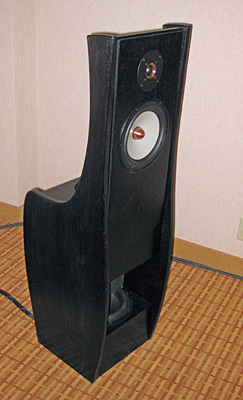 In effect, room and loudspeakers disappear and a phantom auditory scene appears in front of the listener. 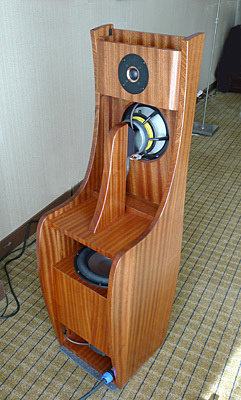 Highest quality SEAS tweeter, midrange and woofer drivers are used. They are mounted to minimize mechanical vibration coupling between them. The new long-throw woofers operate in force cancelling opposition. This arrangement reduces mechanical vibration of the cabinet and reduces transfer of vibration energy into the floor, which could cause resonant re-radiation from floor and walls.